In broadcasting, playout is a term for the transmission of radio or TV channels from the broadcaster into broadcast networks that delivers the content to the audience. Those networks can consist of terrestrial transmitters for analogue or digital radio and TV, cable networks or satellites (either for direct reception, DTH, or intended for cable television headends). 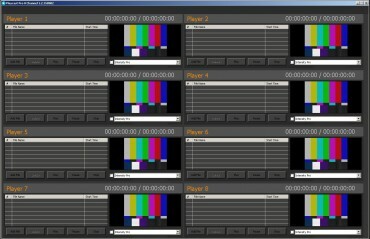 The playout happens in master control in a playout area, which can be either situated in the central apparatus room or in purposely built playout centres, which can be owned by a broadcaster or run by an independent specialist company that has been contracted to handle the playout for a number of channels from different broadcasters. Drag and Drop interface & user friendly GUI. Powerful seamless playlist playback of video content in highest broadcast quality and live to file MIXER based technology. Gapless playback technology with no black gap between file to file or file to live change over's. Jump to any clip in the multi format Playlist instantaneously (no delay). Added Run Logs for played videos by time & date stamping for reporting & billing purpose. Clip Trimmer with Mark-In & Mark-out, Manual/Dynamic Clip Splitter. Event processing with Actions – Wait, Stop, Pause, Cue, Logo ON/OFF. 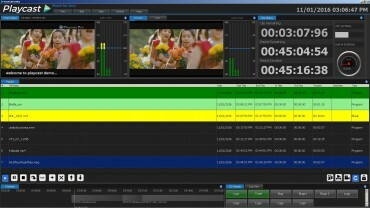 Support Color & Gain Adjustment for Output Video. 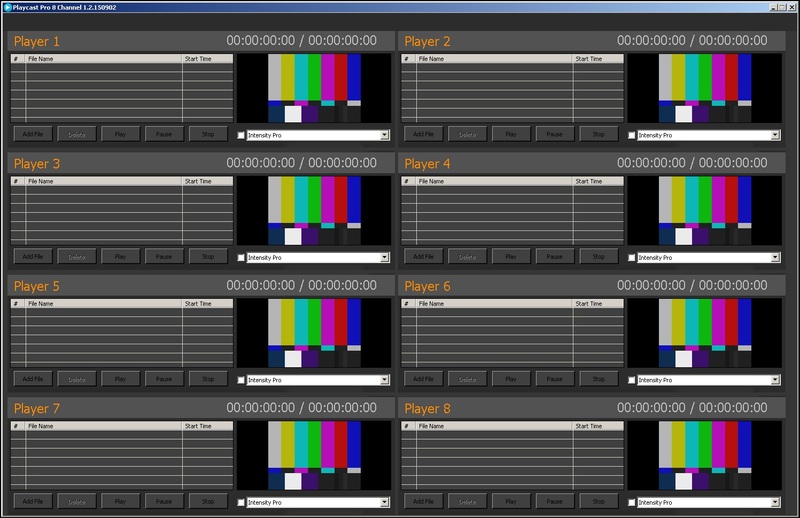 Playout to any output source like Composite, Component, HDMI , SDI Using Decklink hardware. 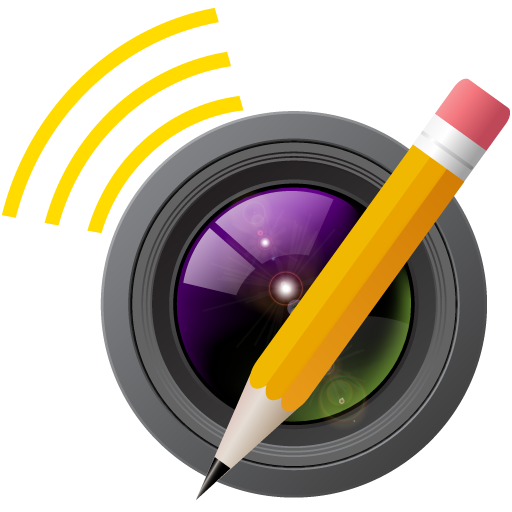 Generic CG interface for text, graphics, image, Scroll, Roll, Ticker and Flash overlay items with native Alpha channel. CG on/off option for easy Playback. Any object for scroll and roll in our CG. Change CG item properties (text, font, size, color etc). Supported file formats: plays all the current broadcast formats in both SD and HD. Choose between NTSC or PAL; progressive, upper-field or lower-field interlacing. 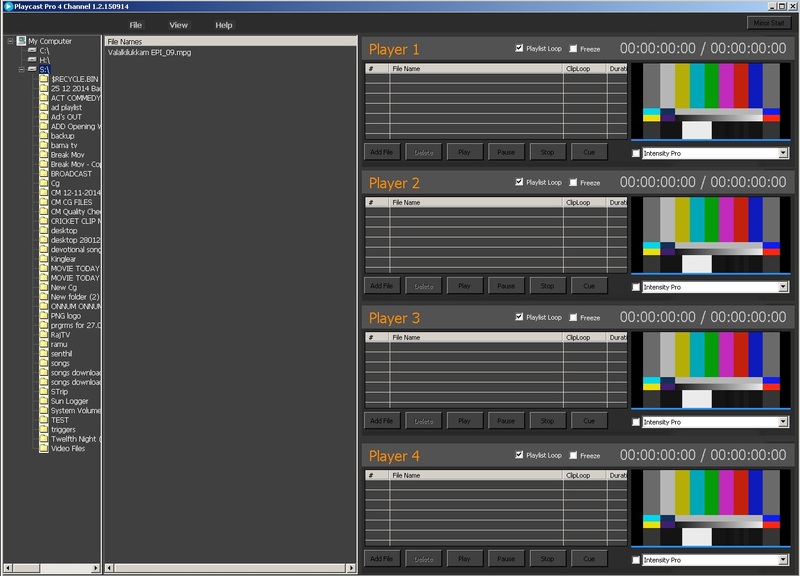 Output Hardware And Resolutions: AJA, Balckmagicdesign, Stream Labs, Deltacast, Hardware supported. Resolution SD, HD up to 4K. 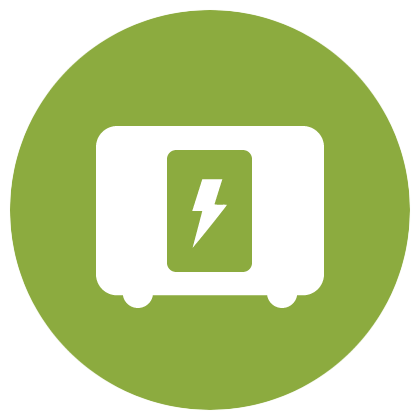 Input / Output No Delay: No delays for while file to file Switch over and Live Video Input. Muti Track Audio: Multi Language Audio Track Support in Playlist up to 16 mono track audio / 8 stereo track. Multi Playlist: Instantly create Multiple Playlist for seamless switching. 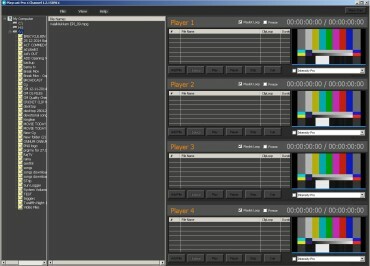 OnTheAir Video can be used for automated playout using its own scheduler or it can serve as a clip store for live news operations, local broadcast or live shows. Schedules can be created weeks in advance. 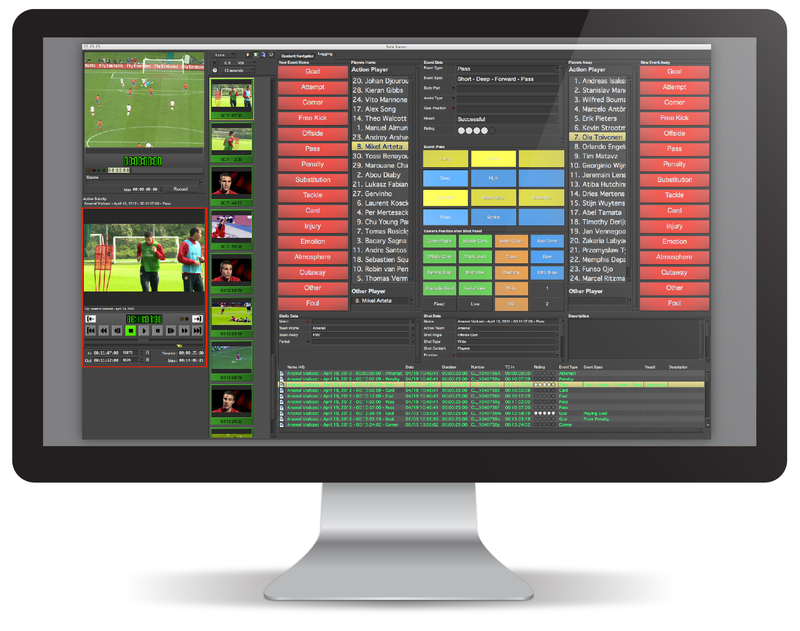 FORK Playout takes Master Control Automation to the next level with unlimited and extendable metadata fields, vast CG and GFX integration and sophisticated redundancy options. 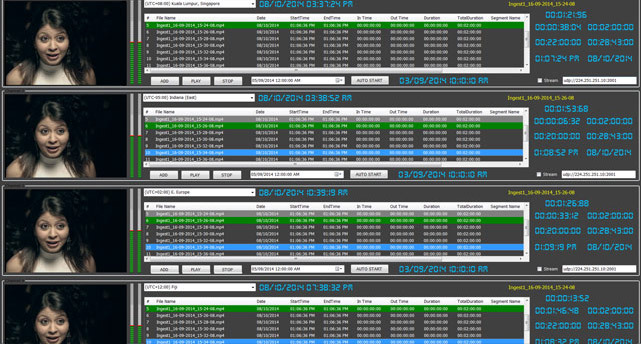 This proven solution effortlessly scales from a single channel to support multiple stations, using FORK's robust facility management capabilities to mange and share resources throughout your facility. 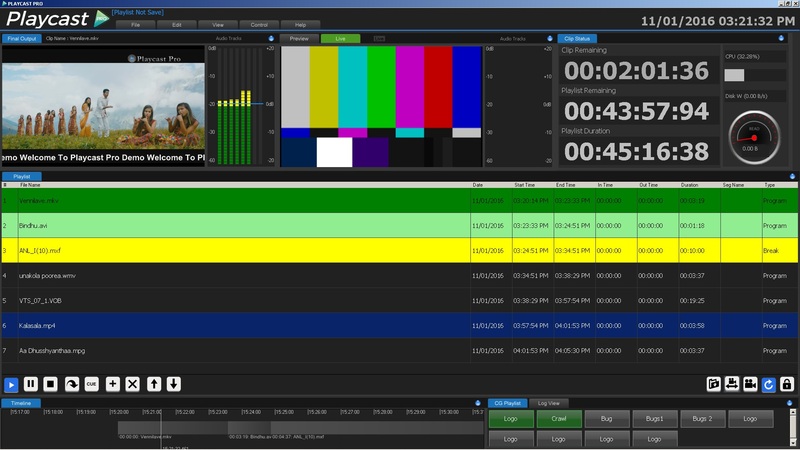 If you can air it, you can automate it – with FORK Playout. Unique innovative software, professional non-linear VTR. 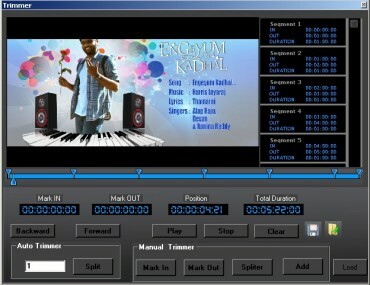 It is a multi-format, multi-codec software. Multi Time Zone Streamer in a single server. Time Zone Streamer is designed for continuous operation in 24/7 mode. Program Schedules are updated without any interruptions. A preview window enables monitoring of the current program on-air. 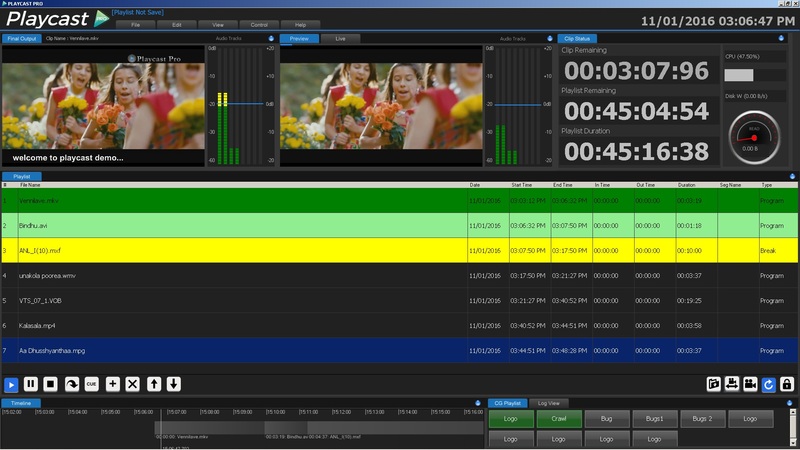 Captured Video can be configured to Time Zone Streamer its output, so the playout in different regions for playback is adjusted to the local time zone. Scheduling (Prepared locally or remotely; permits last-minute scheduling changes). 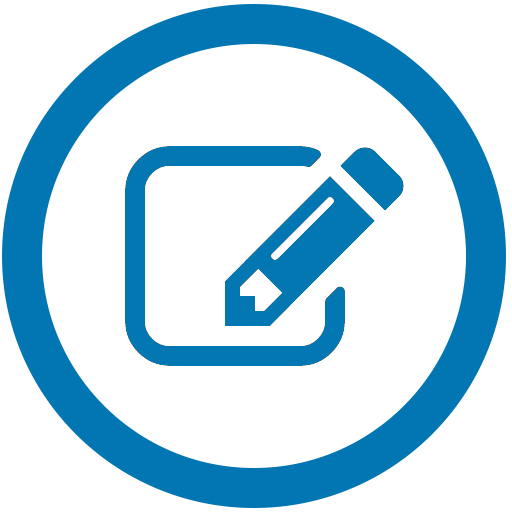 Auto loading of scheduled capturing files for fully automatic operation. Time Zone Streamer can stream 4 Channels in single server. It's Support UDP Multicast Streaming. Time Zone Streamer can also configured as streaming device of Harmonic Decoder. 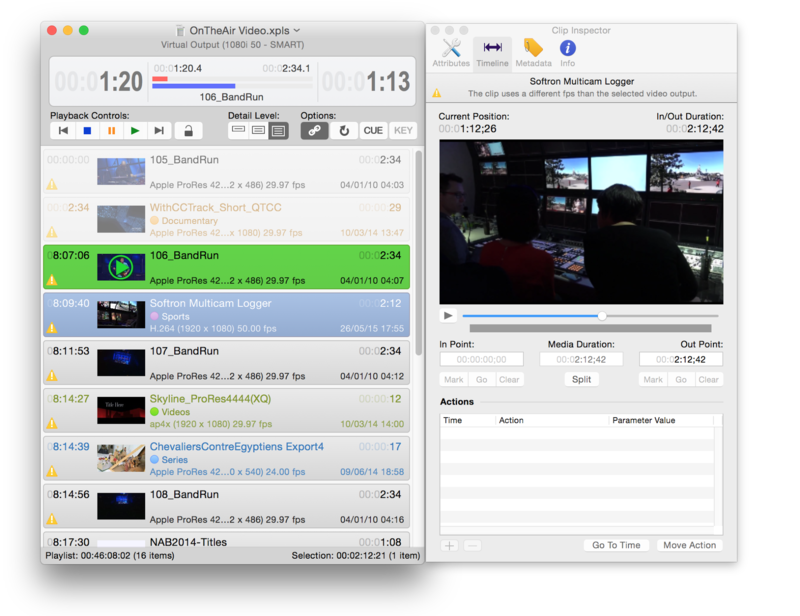 Multi Profile Streaming is also available, supported formats are UDP, RTSP, RTMP and HTTP. CINTHAMANI COMPUTER © 2015 All rights reserved.